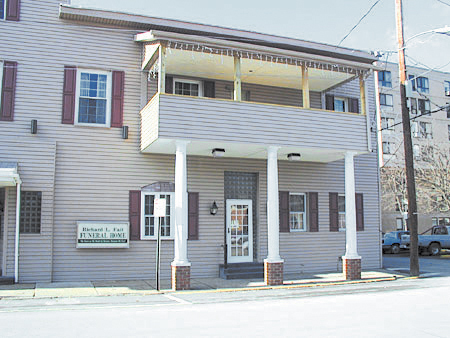 The Richard L. Fait Funeral Home is the oldest funeral establishment in the Punxsutawney area. With over 43 years of experience, we will guide you through the aspects of the funeral service with compassion, dignity and respect. We are dedicated professionals available to assist you in making funeral service arrangements. From cremations to casket choices to funeral flowers, we strive to provide individualized funeral services designed to meet the needs of each family. The funeral service is a meaningful ceremony and event in one's life. Properly planned, it can help ease the pain of separation which always accompanies a death. It is a time of sharing good memories and experiences with friends and family. As funeral directors, our calling imposes upon us special responsibilities to those we serve and to the public at large. Chief among them is the obligation to inform the public so that everyone can make knowledgeable decisions about funerals and funeral directors. We invite you to discuss with us freely and without obligation any questions you may have regarding any and all aspects of the funeral, including our services and our fees. We believe that we can serve you most effectively when such service is based on mutual understanding between ourselves and those who seek our services.